In 2005, Dave started farming full-time. Before that, he had a job at Nokia, free time, a 401k, and a well-tended yard that included a garden. He’s been a backyard hacker all his life, starting when he was a kid in West Bridgewater growing stuff. He also spent summers picking strawberries, working on local farms baling hay, and loving the outdoor work. There isn’t one moment when he decided he wanted to be a farmer. He’d tell you he’s always wanted to farm. But everyone said it wasn’t possible to make a living that way. The problem was, in his previous job he had this feeling that what he was doing wasn’t his life, wasn’t him. Now he doesn’t have the free time and the yard’s a jungle in the summer. But he loves being a farmer and doing something meaningful. The farm has already made an impact, growing beautiful food and bringing all kinds of people together. He hopes to continue growing the farm and building the community. Sasha used to tell Dave that she wanted to marry a rich lumber-jack; A lumber-jack because that meant she could live far from any city and he would ensure they could take care of themselves without modern necessities. Rich, because that was the only way she really believed one could be self-sufficient. Dave and the farm have shown her a simpler life can be led right here in Massachusetts just 45 miles south of Boston. With Dave they can grow and cook their own food and cut wood to stay warm in the winter. A great weekend can be harvesting potatoes or walking the goats along the cranberry bogs. A gourmet dinner is at home, with candles, the lamb they’ve raised, vegetables they’ve harvested, and some good wine. They can create a local community having a dozen friends and CSA members join them for a garlic-planting party, invite interns into their home for the summers to help on the farm and fill the house with the smell of fresh bread and stories of the day, and attend farmer’s markets and see the same faces week-to-week and year after year. 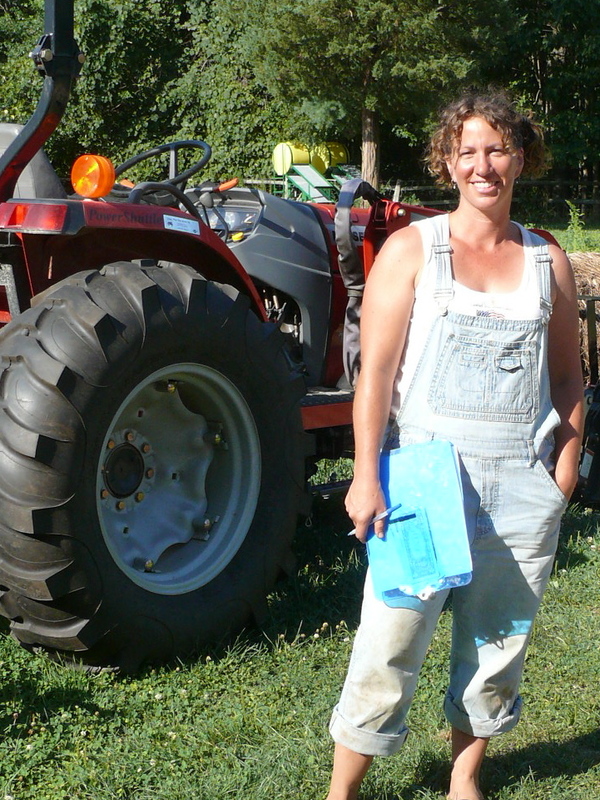 Almost 5 years after being inspired by Dave’s decision to quit his job to start farming, Sasha has also left her job to spend time on the farm, attend Antioch New England for her Green MBA, and discover ways to get more involved in the simpler life.